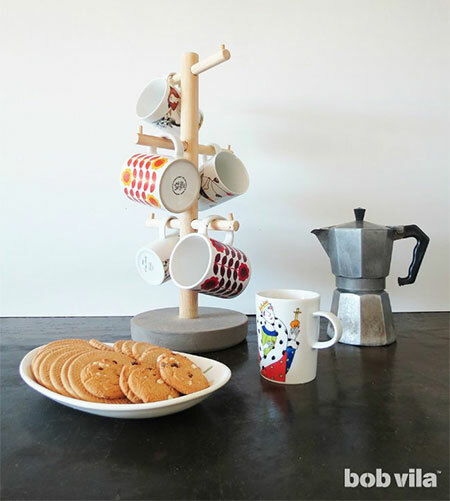 Keep your coffee mugs handy with this pine dowel mug stand that can be placed next to your kettle, or by your coffee station, so that all your mugs are at handy when you're desperate for that first cup of java. You can purchase a selection of pine dowels at Builders Warehouse. 1. The 32mm dowel is for the main support for the coffee mug stand. 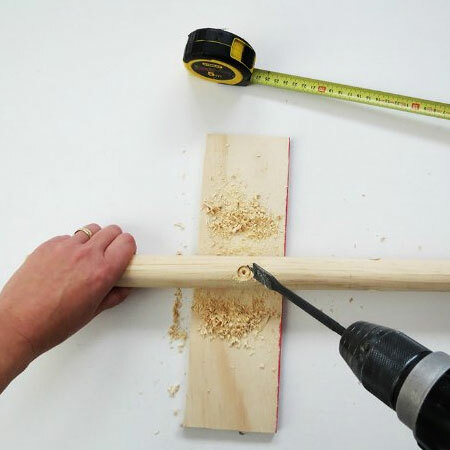 Drill  holes along the length of the dowel (bottom, centre and top) in order to insert the 16mm dowels. Use a 16mm spade bit to drill the holes. 2. On the 16mm dowels, drill a 6mm hole at both ends. Sand all the pieces smooth. 3. 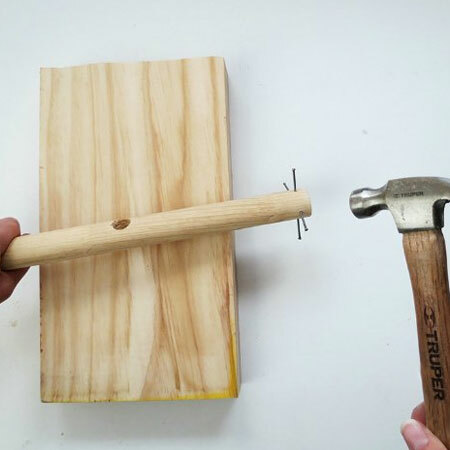 Hammer in  panel pins at one end of the larger dowel. These will add stability and strength once the dowel is mounted in the concrete base. 4. 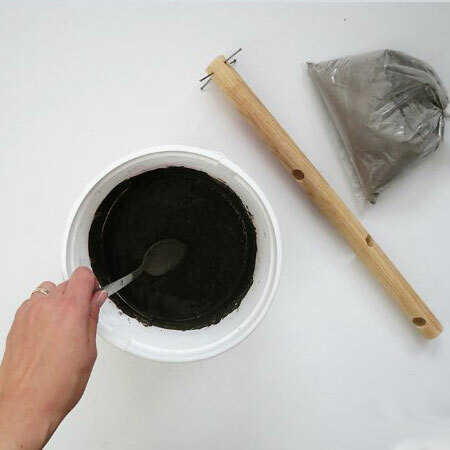 Mix up a batch of cement and pour this into the bowl you will use for the cup holder base. Tap this a few times to remove any trapped air bubbles. 5. 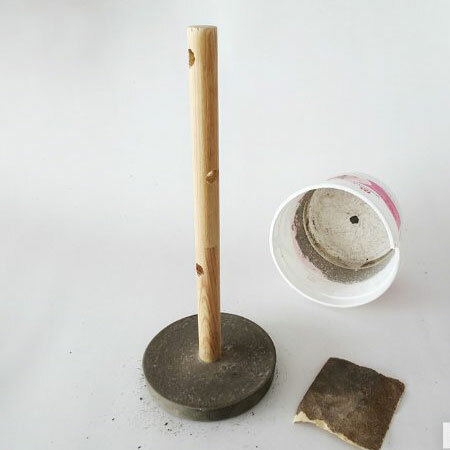 Insert the large dowel into the concrete mix and use masking tape to hold it upright. 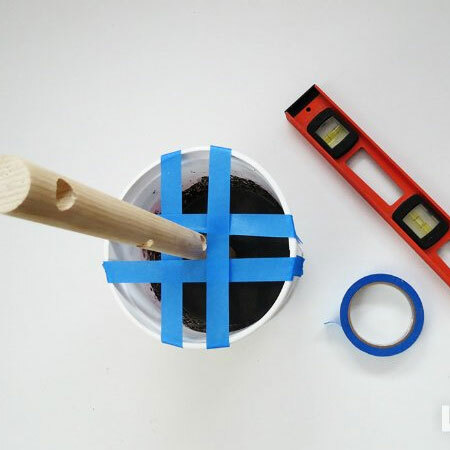 GOOD TO KNOW: You can check that the dowel is perfectly straight by using a spirit level and be sure to place on a level surface while the cement cures. 6. Let the concrete cure for 5 to 7 days and then remove from the plastic bowl. You may need to destroy the bowl in order to remove without damaging. Sand to smooth the base. 7. 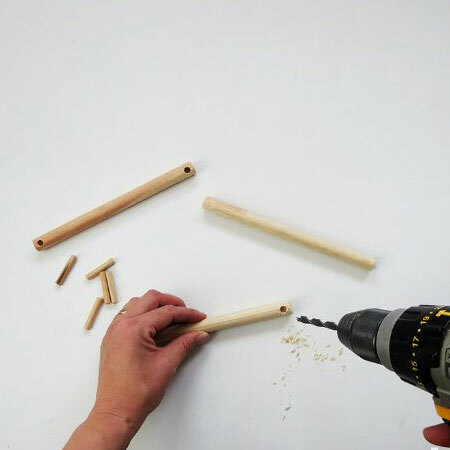 Insert the 16mm dowels through the large dowel, adding a bit of wood glue to hold them firmly in place. 8. Cut the smaller dowels to fit into the holes at the ends of the 16mm dowels. 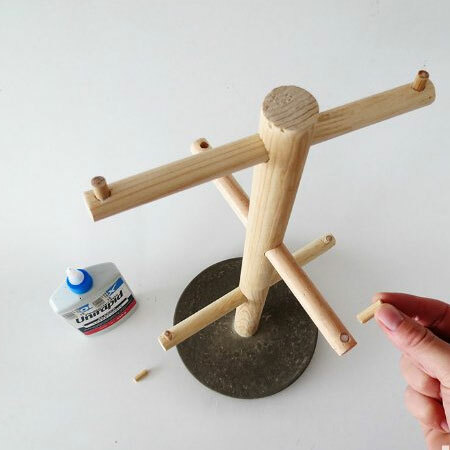 Use wood glue to hold in place. This will prevent any mugs from falling off.